Yes, we all kept hearing that there is a heaven on Earth and wonder if it is only a cosmic myth. But once we get access to this land of amazement with unanswered wonders - you realize that this might be the real one! The Forbidden Kingdom of Upper Mustang offers an immense opportunity to see and embrace the untouched lifestyle of the local people, inspiring social practice and authentic religious and cultural aspects of their lives and wonderful landscapes on natural Himalayan mountain biking trails. This could be the real biking heaven on Earth for you. Words are not enough to describe the existing heaven – you need to get there and enjoy the glory. The Upper Mustang is a ‘bucket list’ on every rider for mountain bikers/hikers from all over the world to experience you have to be there in upper mustang don’t wait long. If you hire dual suspension bike from us we will give you discounted price of $ 200 USD for the trip. 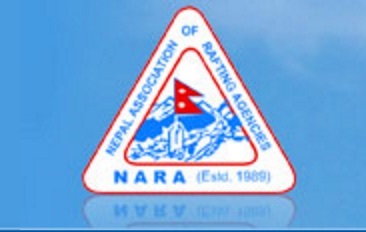 You will be welcomed by your Adventure Hub Nepal (AHN) representative at the airport. Transfer to your hotel and relax and recover from your journey. We will then go for our welcome dinner at a restaurant nearby and have a pre-departure meeting with our group about the trip starting the next day. We will do warm up ride around pokhar as well so you guys can feet you bike and get ready for next step of your journey, after breakfast, your guides will come and see you in your hotel today we will do a half day sightseeing of Pokhara Valley (Bindhabasini temple, Devil's fall, Mahendra cave, International Mountain Museum) and Enjoy the amazing view off fish tail mountain and whole Annapurna mountain region from your hotel roof top stay overnight in hotel. Early morning drive to pokhara domestic airport which around 15 minute drives, we will then fly to jomsom, have quick breakfast start our bike to Kagbeni, ride along the trail that follows the wide valley of the Kali Gandaki, passing through narrow alleyways and houses built around enclosed courtyards as a protection against the unpredictable wind of the Kali Gandaki gorge. The trail further meanders through stone-walled orchards. Today’s trail is characterized by the crossing of a series of large spurs. Our biking will take to Taklam La Pass (3,624m) through plateaus and narrow stretches with views of Tilicho Peak, Yakawa Kang, Nilgiri and kagbeni stay in Syanbochen for the overnight. The valleys that dissect the trail have cool streams and juniper trees to enable us to relax for a while. These altitudes should not present any acclimatization issues, so we just take our time. Today is day that we will need to push on some little bit more so we can reach to the Lo-Manthang, yes you have been biking for long hours and quite few days for this so its time enjoy and explore upper mustang we have allowed full day to explore this outstanding historical and cultural centre. There is optional biking around Lo Manthang we will be happy to bike today if the group desires do so, there are 4 major Gompas to visit during our stay. The palace is the home of the raja (King) and his rani (queen) is the attraction as well as the surrounding panoramic views of the Himalaya. Although the raja's function is now primarily ceremonial he is seen as a person who can help people resolve local issues. The town itself is fascinating, and offers countless opportunities to observe a vibrant Tibetan culture. There are many places to explore and manage your time to explore the places. Every monastery around here. Yes, day starts with a nice breakfast, riding back to Ghami through challenging but exciting alternative routes that take us over the Pang La Pass situated 4,032m in altitude. From here a thrilling downhill takes us to Ghar Gompa, a beautiful 1200-year-old monastery, and amazing red landscapes of Dhakmar village. The vegetation at Dhakmar is greener that in other places of Upper Mustang. After an hour’s ride on mostly undulating single tracks, we reach Ghami stay overnight in ghami. Today from Muktinath we ride along a very enjoyable downhill track descending to the Kaligandaki River valley floor. We’ll make a quick pit stop at Marpha, a village with legendary apple orchids. Make sure to taste some Marpha Brandy and a range of apple products like apple pie and dried apple skin. We call it a day at Tukuche village, an ancient Thakali tribe settlement, and spend some time exploring the region and learning about the culture and history of the village. Tukuche lies right beneath the Tukuche peak and Dhaulagiri, with amazing views of Mt. Nilgiri and icefalls of Dhaulagiri’s east face. After a relaxing time at Tatopani, we ride for about 1.5 hours on jeep tracks to reach Beni, a small but vibrant market town. We’ll spend some time exploring the town and then drive back to Pokhara on a 4-hour drive. It’s a bumpy drive and you can enjoy the scenic views you get along the away. Once we reach Pokhara, we can do some boating on the Phewa Lake and have a pleasant time reflecting on our thrilling adventure in Upper Mustang. Its your last day in Nepal! Grab some breakfast, and then adventure Hub Nepal representative will come to your and depart to airport, if you have time you can always do your last last-minute shopping in Kathmandu. We’ll make sure you will arrive at Kathmandu International Airport with plenty time before your flight back home. Now, we’ll say our goodbyes and bid you farewell, armed with warm memories and gorgeous photos to show your loved ones.